The title of the first book in the Ian Carlyle Series is Follow Me to Glory. 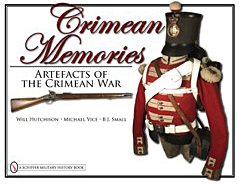 The Crimean War, during which the bulk of the story takes place, was an absolute disaster. There had not been a major war in Europe for 40 years, since Wellington fought Napoleon. In 1854, the British were ill prepared to fight such a large-scale war. Too many of the lessons learned against Napoleon had been forgotten, and Wellington was no longer around. The butcher’s bill for this forgetfulness was paid in soldiers’ lives. Ian Carlyle is in the middle of the Canadian North-West on a mission for the Queen that turns his life upside down. Satan’s Last Whisper, is a powerful thriller that mixes historical fiction and psychological portraiture. Real historical people are inextricably woven into Ian Carlyle’s life. It is filled with confrontation – 5,000 Sioux warriors, their great Chief Sitting Bull, the famous North-West Mounted Police, villainous criminals in a brand new territory, and the most evil man on earth … a vile killer of women bent on destroying Ian and the woman he loves. This story has something for everyone – spies, a western, Indian fighting, the amazing culture of the Lakota Sioux, an intense love story, a crime novel set in the old west, and a depraved serial killer in the 1870s, ten years before Jack the Ripper!